Hi all! Just after a bit of advice if anyone can help! I always buy my balloons from Graham but needed some 12" pink polka dot so ordered them from eBay. The seller is in the US (I'm in the UK) I paid 38.22USD plus 16.75USD for postage for a bag of 100. I've ordered balloons and a couple of Ken Stillmans dvds from the us a few times and everything's always been great! Here's my problem.....I received a card in the post yesterday saying my package couldn't be delivered as there was a customs charge to pay plus a handling fee of £12.82 before the package could be delivered! I've never had this before....have I just been lucky in the past or has the seller not filled the customs form out correctly? Think I was charged way too much postage in the first place and to then to have to pay an extra £12.82.....that's taking my 100 balloons to nearly £50!!!!! Can anyone recommend where to get these from in future? its does sometimes feel like Russian roulette if you get charge import duties or not. if you can have your items marked as samples cost £0 and the bill sent separately that can work. Ahhh Kevin.....Thanks so much! 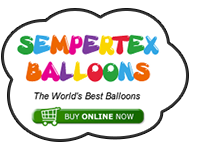 I've searched online for I don't now how long and couldn't find these balloons at a half decent price! I can quite easily make the minimum order hehe....once I start I seem to forget to stop! Thanks so much I really do appreciate it! I saw this post while at Blackpool and wanted to reply but was just on my phone which made things difficult. I post things abroad to Europe and America and have to sign a customs from that is legally binding, I get asked to mark as a gift when it is not and have to say that I do not do this. In Europe this is not a problem as we can trade with no import duty but to America it can be a problem as when things are shipped from the US to UK. If I was to sign as a gift and was found out to be untrue there is a large fine that comes with this as we are de-frauding the goverment so this is possibly why I and others are unable to put down as a gift when we all know it is not a gift. Sometimes things get in OK and others you have a 28% import duty to pay. 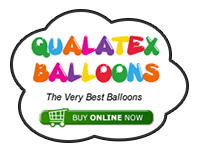 Just re-read the opening thread, I can get any product from the Qualatex catalogue but you may have to pay the retail price as I am unable to get wholesale on some products unless I order in big quantities, I'm sure I would have been cheaper than £50 for a bag of polka dot balloons. Off to check what they would have been with me. Ahhh I didn't realise you could still get them Graham! That's good to know! I still need some pale pink polka dot ones! perhaps if send via Usa etc or visa versa the box be marked as sample(s) rather than gift and the value of £0.01?? there are a few ways around it but all seem to involve the person sending product signing a form incorrectly. Unfortunately when supplying goods to or from the USA to UK you have to factor in the 28% customs/VAT charge, this running a business is difficult at times.